One of the real highlights of our San Francisco trip was a visit to the Zuni café. The Zuni Café cookbook (written by owner Judy Rodgers) has been a staple in our cookbook collection for the last 5 years, so to actually visit the restaurant itself was a huge treat. The restaurant was packed for a midweek lunch, as I assume it always is. 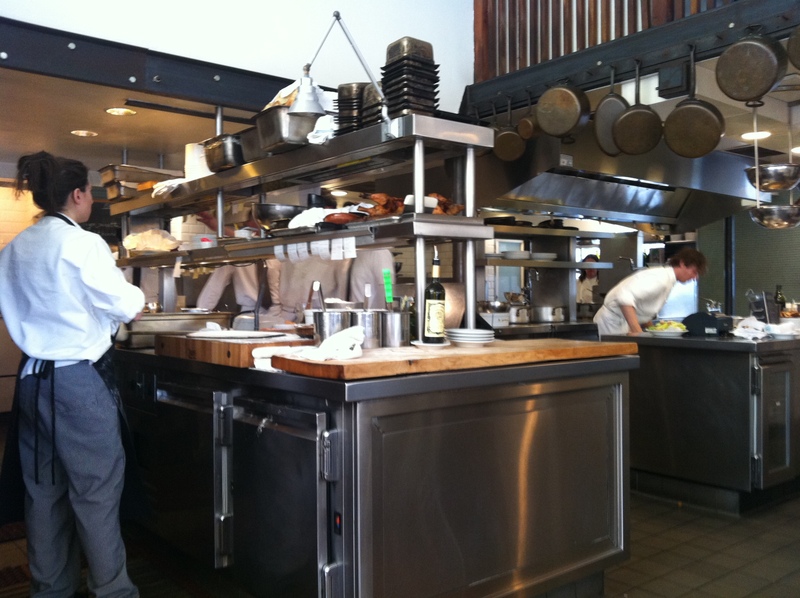 As a bonus we were seated in full view of the open kitchen at the chefs table. 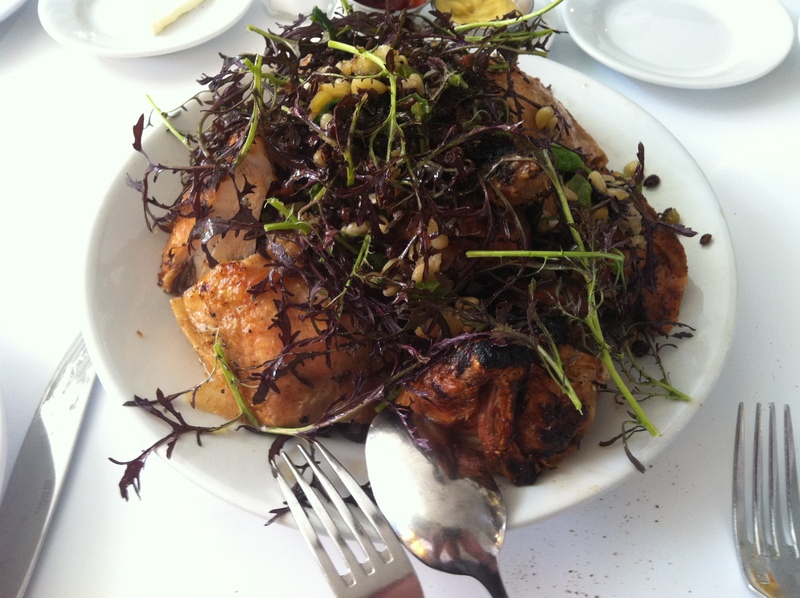 Zuni café is most famous for its whole roast chicken and bread salad dish, which of course we had to sample. We ordered this straight away, as we knew it took 1 hour to cook. For starters we had the Caesar salad (voted best Caesar in San Francisco for some years running) as well as a perfect mound of shoestring fries. The chicken delivered as promised – plump, moist, perfectly cooked meat on the inside, crispy golden skin on the outside. This was perfectly complimented by the bread salad. As someone who rarely orders chicken in a restaurant, I have to admit this was something special – definitely the best roast chicken I have ever tasted, and would order it again in a heartbeat. We sampled a lovely white wine sold by the glass, Navarro Vineyards Gewurztraminer which married nicely with the chicken. Service as with most American restaurants was perfect and attentive – water and bread constantly refilled, and just the right amount of attention throughout the meal. Zuni café is truly a must do for any visit to San Francisco. A San Franciscan stalwart, Zuni Cafe is named after a Native American tribe and has been open since 1979m when it start as a Mexican-inspired restaurant. Wont be visiting anytime soon? Why not try this recipe out and recreate the Zuni roast chicken at home. I was looking fwd to your post to find out what this ‘Snow Egg’ you raved about was? Sounds heavenly indeed!! !